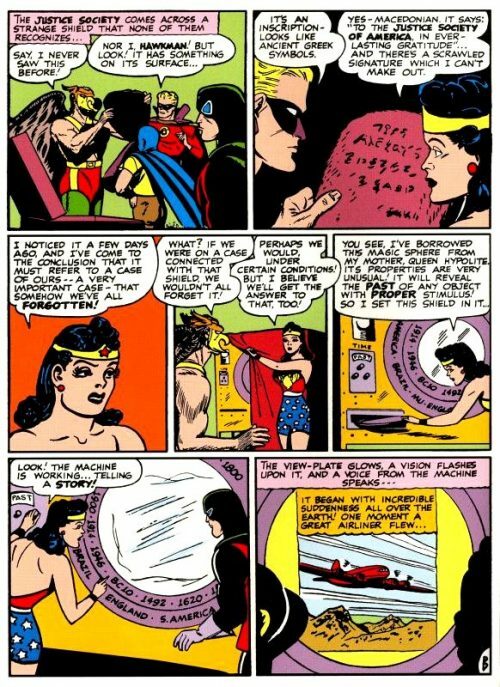 Wonder Woman plays a secretarial role only. 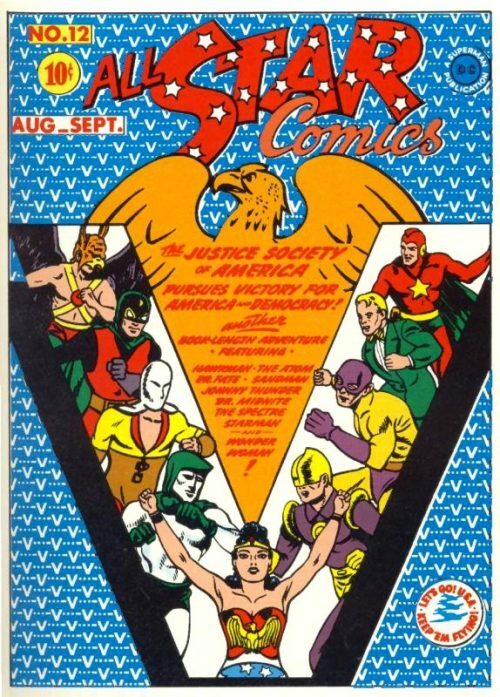 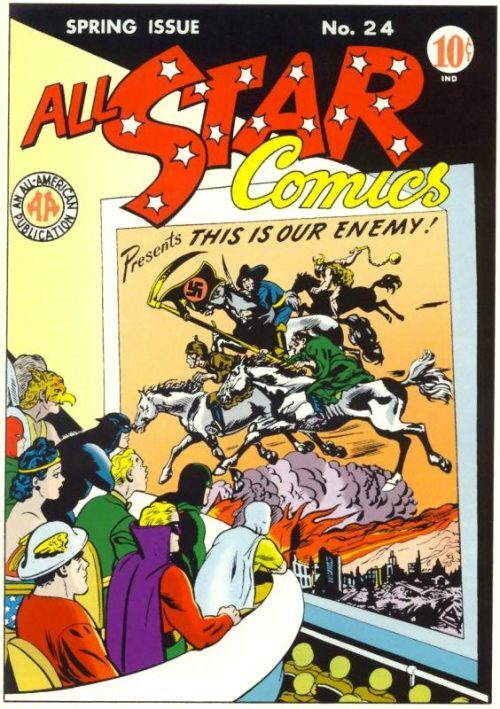 The JSA begins a meeting, noting a strange metal shield with Macedonian writing that talks of a case they have forgotten. 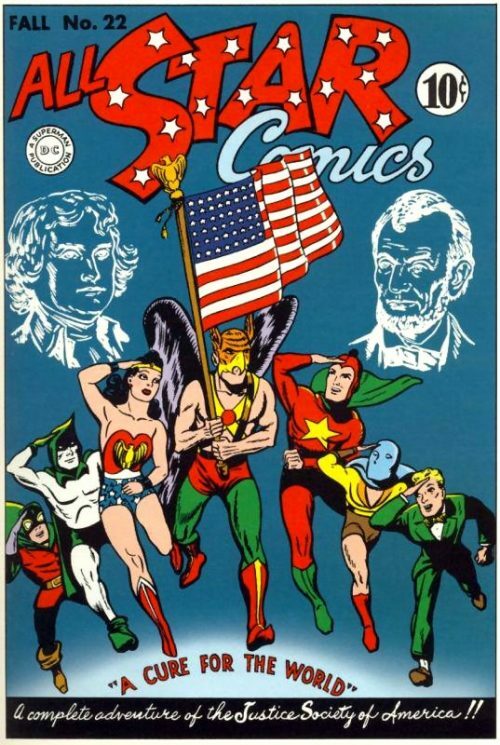 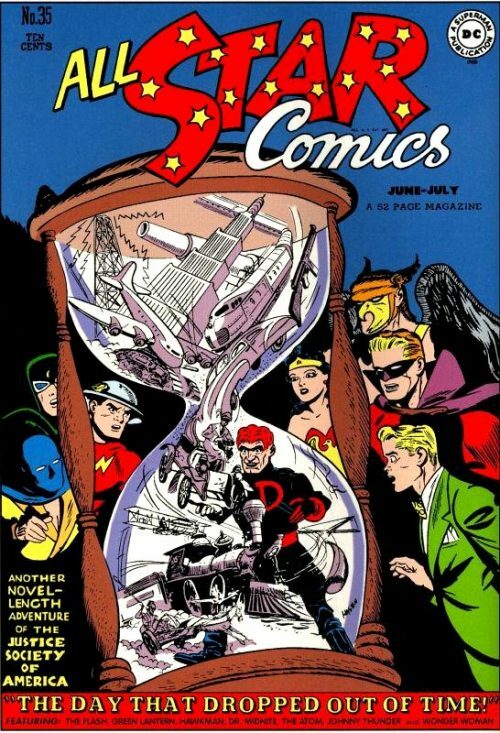 The Magic Sphere reveals how events and situations have been totally forgotten by the JSA due to Degaton’s reversing of time.. 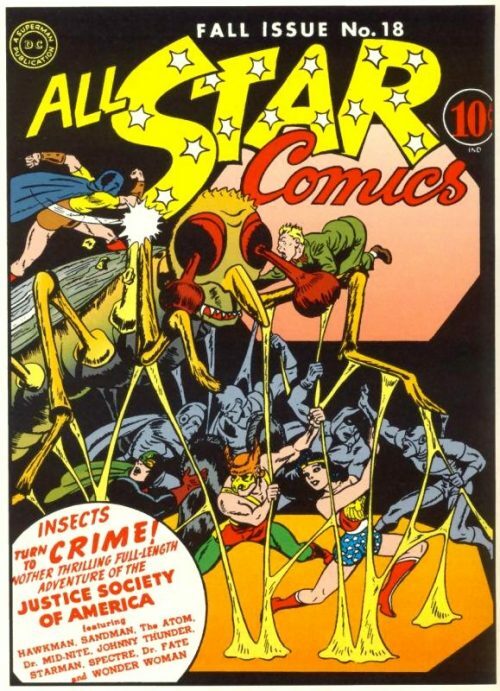 The scene shifts to a hospital where a wounded Professor reveals that his invention is being used by someone, which is revealed to be his new lab assistant, Degaton. When they visit the professor, he warns they they must stop Degaton and undo what he has done. 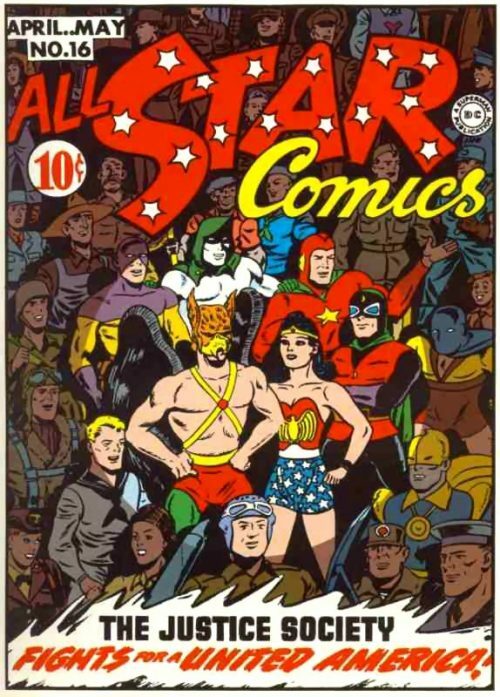 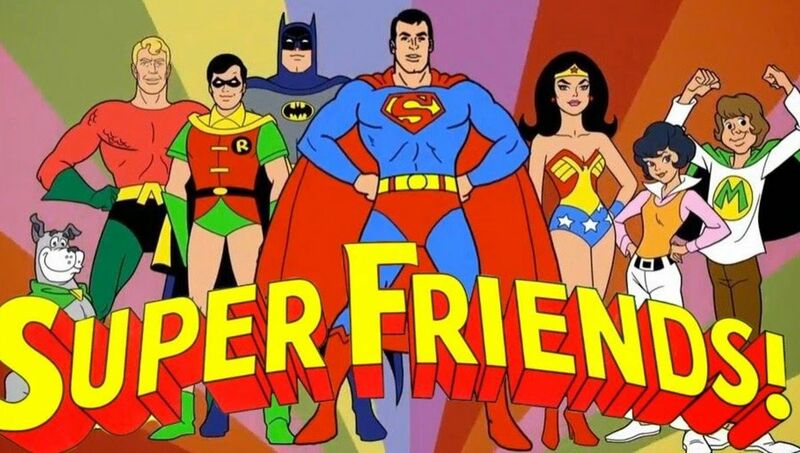 Several members go out on missions, and Green Lantern, Johnny and Wonder Woman remain at the hospital to protect Professor Zee.